Ashe Vernon ‘s poetry first came to my attention a couple of years ago when I began to see three short lines of her writing popping up everywhere I went on Tumblr: “There are poets who sing you to sleep / and poets who ready you for war / and I want to be both.” It’s exactly that sort of fierce softness that makes her poetry so great–it heals wounds as much as it exposes them, often both at the same time. The complex emotional journeys she writes of have sent me on my own inner pilgrimages of self-reflection numerous times–and they’ve inspired me to consider what my own version of tough vulnerability looks like in my own writing. Performance originally published by Write About Now, a weekly slam and open mic in Houston. 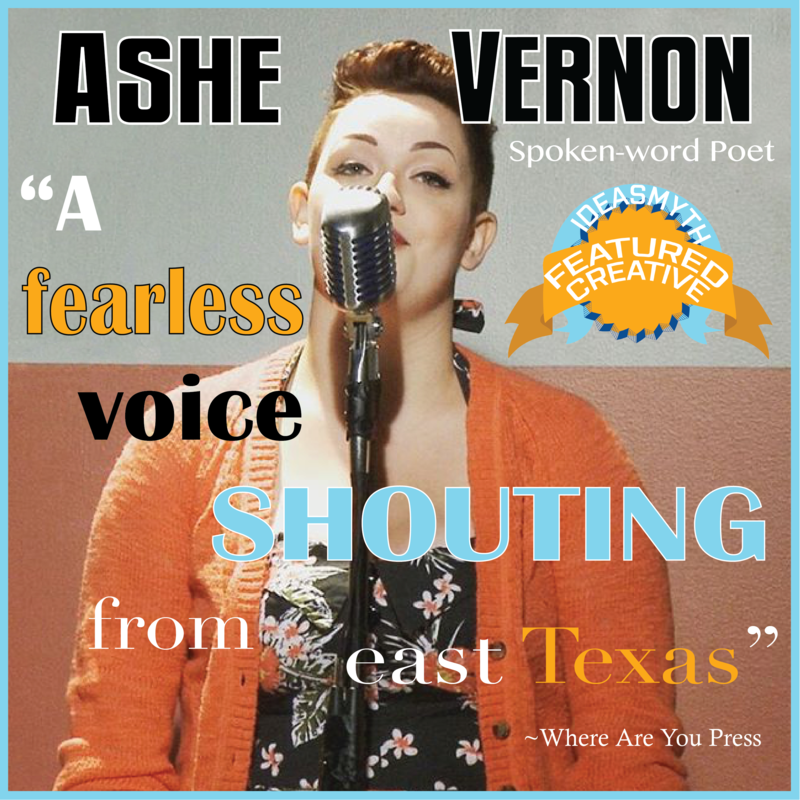 ~~~Ashe Vernon is a 22 year old day-dreamer from Houston, Texas. 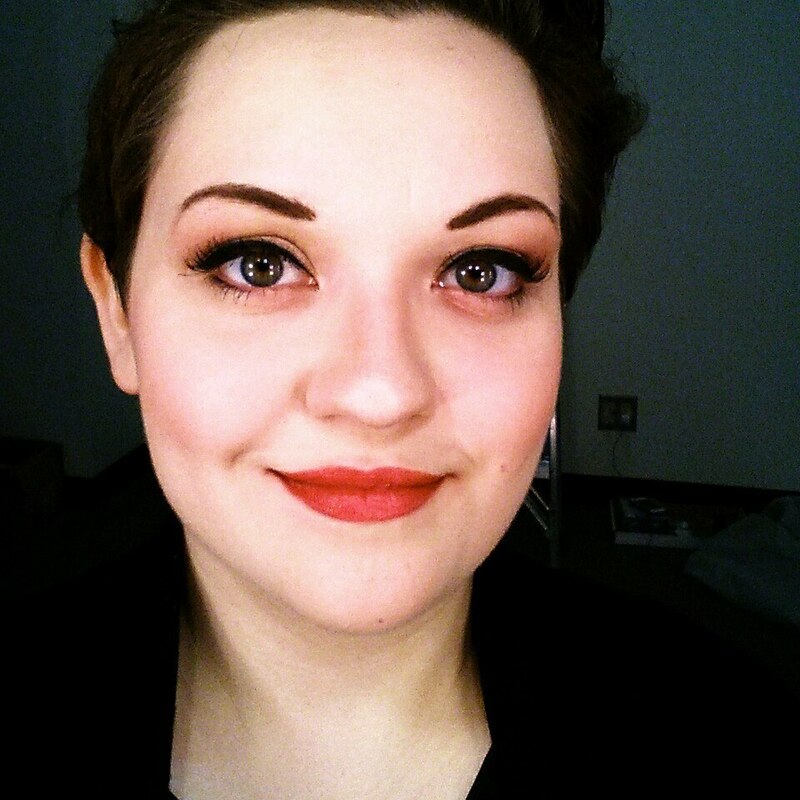 She recently finished a cross-country poetry tour and is readjusting to the kind of adult life where you don’t get on a microphone and cry in front of strangers every other night. She has published two books of poetry–Belly of the Beast and Wrong Side of a Fistfight. 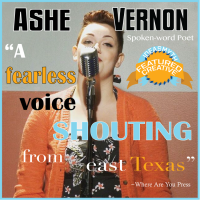 Ashe is a tiny person with very small hands and a whole lot to say about it. More of her work can be found at latenightcornerstore.com. Posted in Communications, Featured Creatives, Good Ideas, Inspiration, Performance Ideas, Pilgrimages, Writing and tagged Ashe Vernon, Featured Creative, pilgrimages, poetry, rewind, slam poetry.